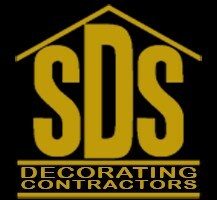 SDS are a locally based team of highly skilled experienced craftsmen who specialise in all aspects of plastering and painting. We pride ourselves on customer satisfaction which has been the key to our success resulting in a constant flow of work through means of repeat custom and recommendations. We have been trading for over 15 years and each member of our team has vast knowledge in the individual aspects of work we specialise in. This is evident in our performance throughout each job from the start and is reflective in the finished product at the end.